My Oh My, Sweet Cherry Pie! Hi everyone! I hope you are having an awesome day so far? 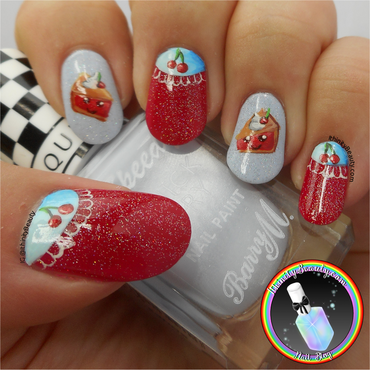 Today on my blog I have some nail art that is both cute and tasty, would you eat these cherry pies?! I am in love with that scattered holo top coat though, a little sparkle helps everything! https://goo.gl/qttujW Have an awesome day!